The great potato famine of the 1840s killed over a million Irish and forced another million to emigrate to the United States, forever altering both countries and the world at large. The famine was caused by a pernicious potato blight that affected the entire crop in Ireland and since there was no availability variety of that was immune to the disease – the results were catastrophic. Fast forward to today – when food shortages are less common than ever before – thanks to superior crop and seed varieties that are disease resistant. However, the planet does not possess a single repository of all crop seeds that are a last line of defense for insuring that the planet always has a well-preserved, well catalogued “last resort” for disease-free seeds for all major crops. Until now. 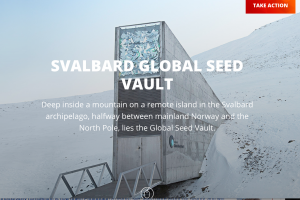 The Svelbard Global Seed Vault is a long tunnel in the Arctic North where all varieties of seeds are stored inside the natural ice-box of a mountainside. 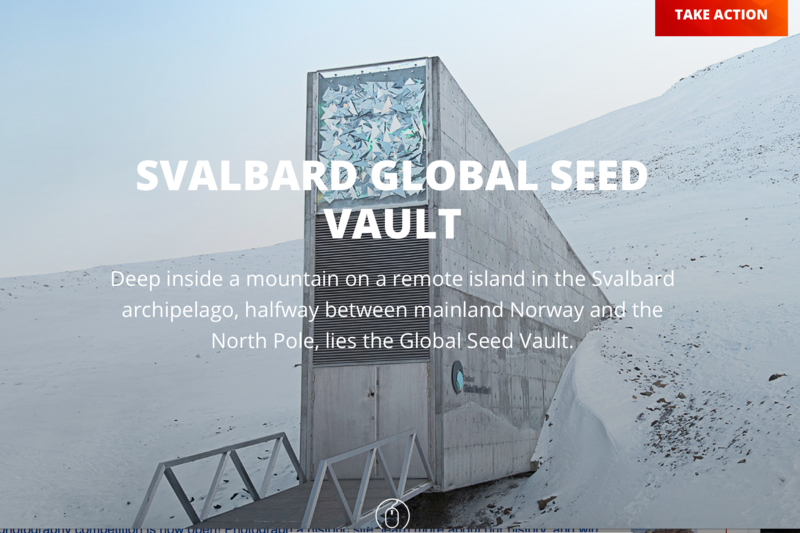 The Seed Vault has the capacity to store 4.5 million seed samples. Each sample contains an average count of 500 seeds, so a maximum of 2.25 billion seeds can be stored in the facility. The collection and storage of seeds will continue for some time. When just half of the first of three vault rooms is filled, it will hold the world’s largest collection of seeds. Food security is a challenge in many developing countries. Crop diversity is the resource to which plant breeders must turn to develop varieties that can withstand pests, diseases, and remain productive in the face of changing climates. It will therefore underpin the world food supply. Also, the Seed Vault will ensure that unique diversity held in gene-banks in developing countries is not lost forever if an accident occurs. A backup copy will exist in Svalbard. How much does this ultimate insurance policy against global hunger cost? Less than $9 million and it was fully borne by the Government of Norway. So while we hear constantly about the possibility of global pandemics that could de-stabilize the world, there are calm, collected, rational scientists, engineers, agriculturalists and governments building robust and efficient mechanisms for insuring that cataclysmic events like the Irish Potato Famine are relegated to history books. As Mark Twain famously quipped that news reports of of his death were wildly exaggerated, prognostications about the end of the world are largely baseless. The world is slowly but quietly becoming a better place.